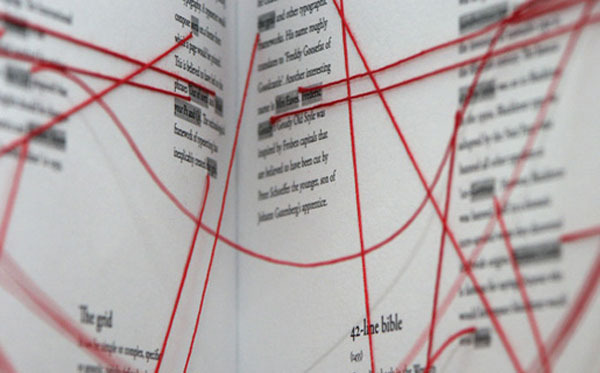 I saw Dan Collier’s Typographic Links —hand-sewn book—this past summer at the MoMA’s Talk to Me exhibit. 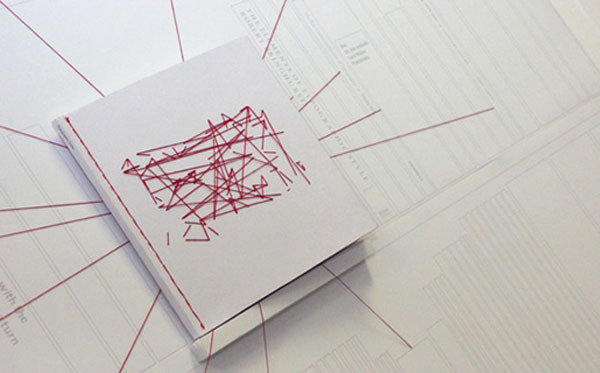 This one-off book maps interesting links and connections throughout the world of typography using red threads as three-dimensional ‘hyperlinks’ to guide the reader through the pages. Collier, a London based graphic designer that works with large international brands is currently working on a second edition. If you have an interesting typographic fact or connection, you can contribute it here. This entry was posted in Graphic Design, Industrial Design, Stuff We Like, Typography. Bookmark the permalink.